U-he has a very forward thinking approach to compression and version 1.1 of Presswerk shows this. The new interface’s view can change based on the application. 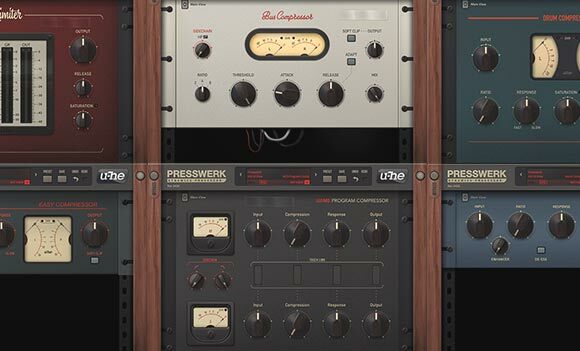 This means that if you are wanting to use Presswerk as a bus compressor, there is a special interface for that. Very innovative! We are happy to announce the release of Presswerk version 1.1 for Mac OSX and Windows (in case you didn’t know, Presswerk is our powerful dynamics processor with a musical soul). Presswerk 1.1 also has a new preferences window where global options can be stored, and a MIDI learn screen to simplify MIDI mapping. Version 1.1 is a free update for current owners of Presswerk – simply download and install over your existing installation!